March 11th is finally upon us and Apple’s retail stores in the US along with Best Buy, Target and Wal-Mart have all begun selling the iPad 2 today. The popular tablet is already on sale through the Apple website with estimated shipping dates from March 18th to March 25th. 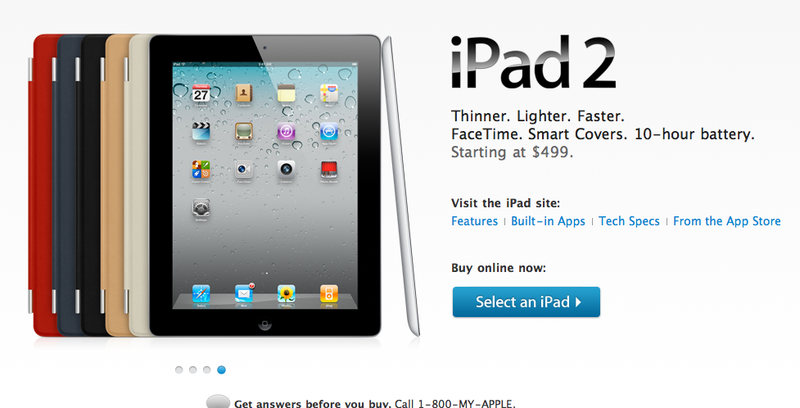 It’s been estimated that Apple could sell upwards of 600,000 iPad 2s this weekend alone. So today’s question is: Will you be buying an iPad 2? If your in the US you may already be tempted to do so this weekend or maybe your waiting for more reviews to surface before you mull it over. For the rest of the world, or just for those unwilling to travel state side to pick one up, we’ll have to wait till March 25th before we can get our hands on one. Personally I think I’ll be giving it a miss this time around. I still feel the device doesn’t have enough of the features that I’d like in a tablet PC. Some people may be holding out for the next iOS update in iOS 5 and some of you may simply be holding onto that hard earned cash till iPad 3 or a more serious Android contender hits the market. As an iPad 1:st gen owner i don´t really see any reason to upgrade. I use mine for web, rss and pdf´s at work, and occasionally i´ve held a keynote with it, but other than that i really don´t see why i need the extra power? No. I could get something better. Like the Motorola Xoom which has more features than the iPad 2. 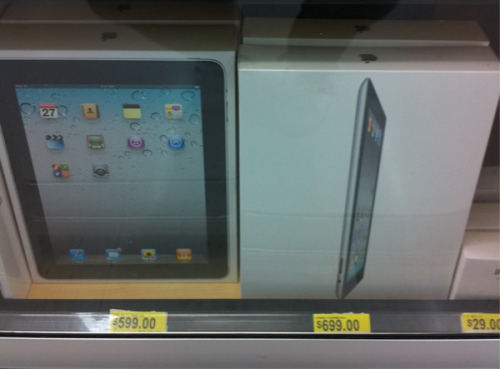 I would wait for the iPad 3 as the 2 is merely playing catchup with the competition. On the 3rd gen you might be expecting some actual improvements such as an even faster processor with support for an OS that can actually work! That’s great iMovie and garage band but that’s just a wow factor for the audience. Perhaps even 4G will be more common by then and support will be offered on the 3rd gen. But that’s just wishful thinking. For those who need a computer right now but want a tablet, definitely would go for a lower end one for the time being. I’ve toyed around with the samsung tablet and it is terribly slow. Like using a pentium 3. I haven’t actually used the xoom but if iOS is not for you, go for it. I just wanted it compatible with my Mac. I watched the iPad 2 unveling event live (well live blogs and photos) and I can remember getting so caught up in it and thinking “I’m soo getting one”. But it only takes a few minutes before you snap out of it and realise its not that much different from the original. To be honest, I much prefer the curved back of the original and I really dont care for that hideous speaker on the iPad 2. I mean obviously, if you were buying today as a first time iPad buyer, you would choose iPad 2 over the 1st one (despite the cheap price of the 1st gen) but unless you’re a serious serious power user, or have been waiting for something specific such as the Facetime camera, the upgrade from iPad 1 to iPad 2 just cannot be justify for me anyway. Wait til iPad 3 I think ! I have to say though the thing that impressed me most about the iPad 2 was the Smart Cover. Quite obvious they needed that extra hook to convince people who already have an iPad to upgrade ! I reserved on Saturday at Best Buy! I went to the Apple store in my town the day after it came out(Saturday) and stood half an hour before opening only to be notified that they only had like 4 iPads…. People at the front who had been waiting with chairs in front of me were SO angry, it was hilarious yet frustrating. Nope, I can buy more useful things for 500 bucks. The iPad looks like a fun gadget and all, but it is still just a bigger iPod touch with better apps that I am not interested in. Nope, no plans to buy any iPads. Haven’t been interested in it from the beginning, though my interest in tablets is growing since I’ve tested the Motorola Xoom. I will be interested to see what the other Android tablets that come out in the next couple of months are like.